The checklist below contains the 115 species which have been reported from the area Cape York & Islands. The list is sorted as per our overall checklist, with damselflies (Zygoptera) sorted before dragonflies (Anisoptera). Click here if you would like to see the list sorted on the species' scientific names or on their common names. 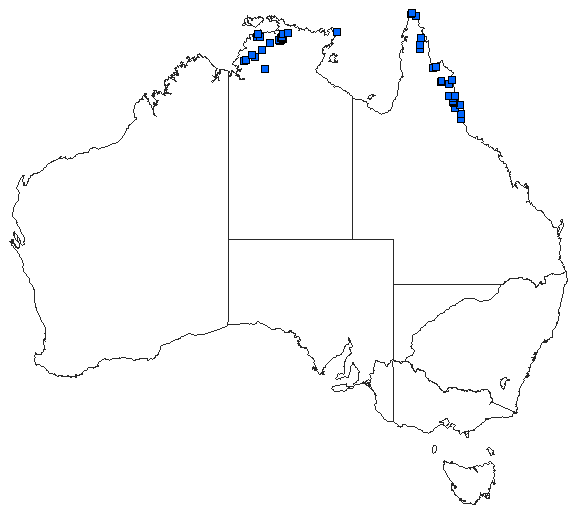 Each line contains the following pieces of information: the number of the species as per our overall checklist, its common and scientific names, a Distribution button and three further icons. 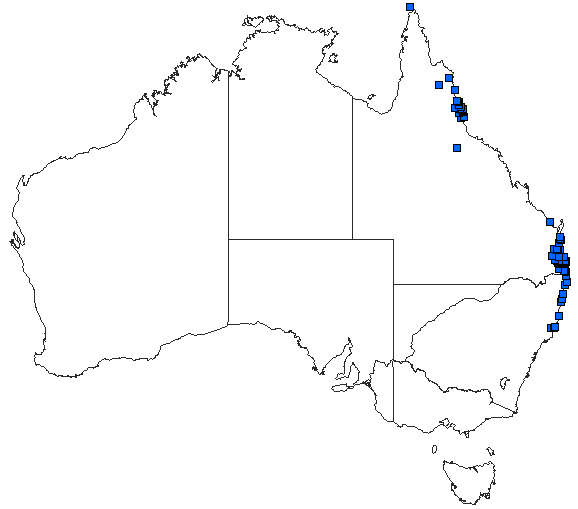 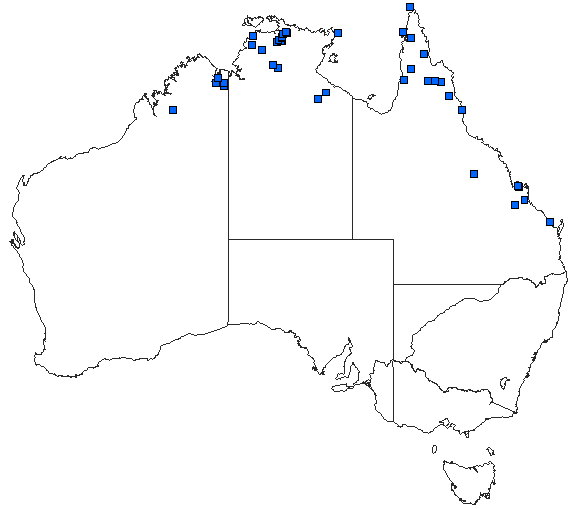 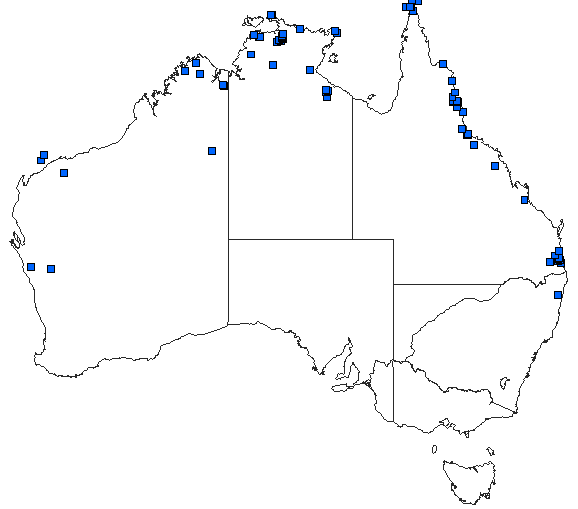 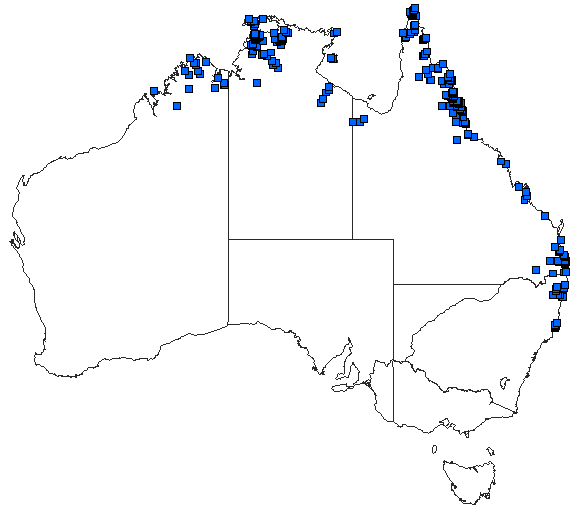 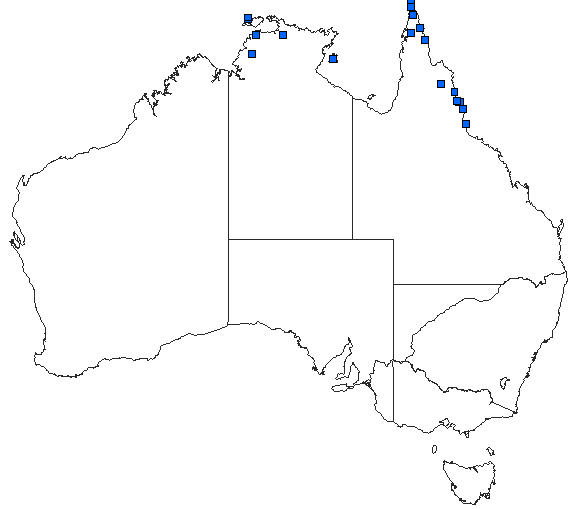 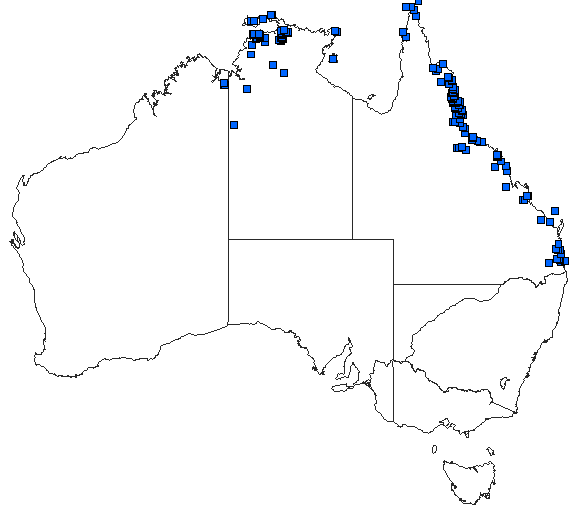 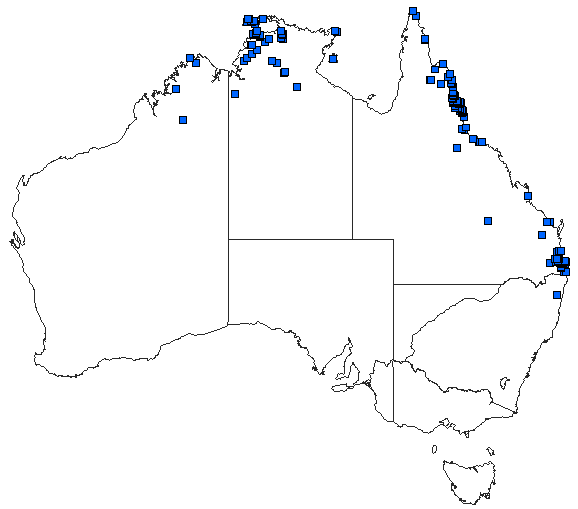 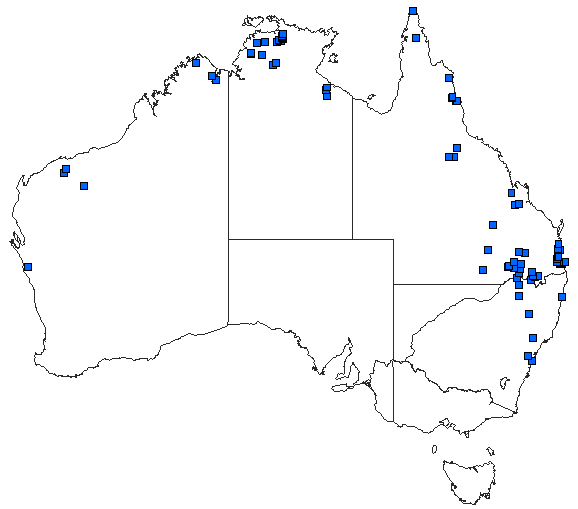 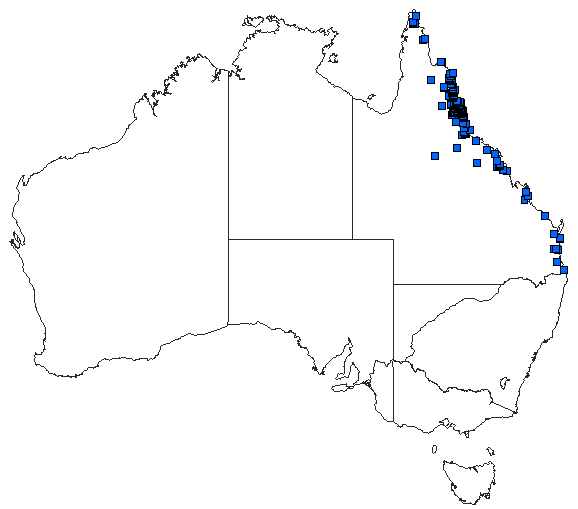 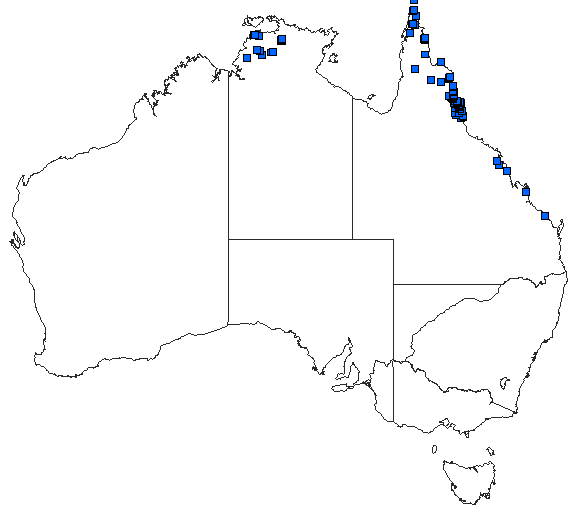 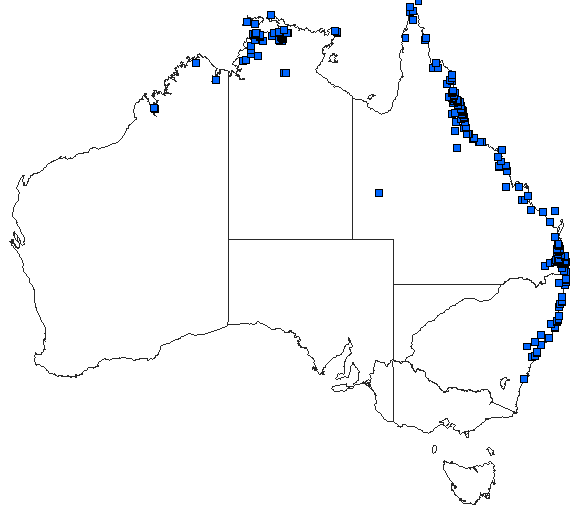 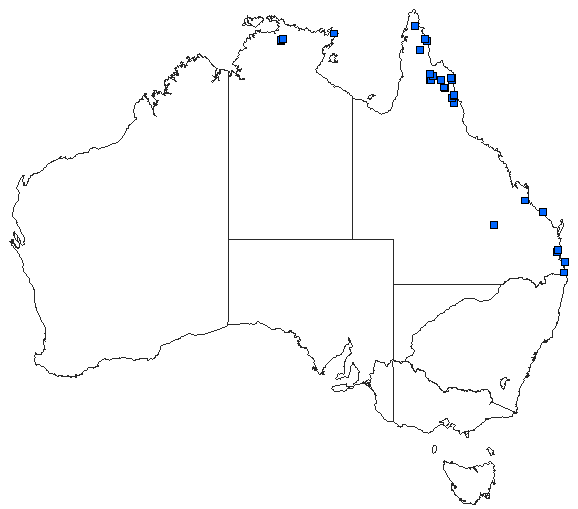 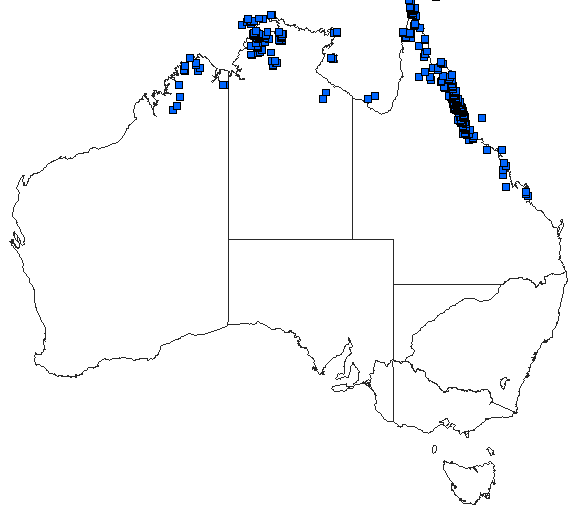 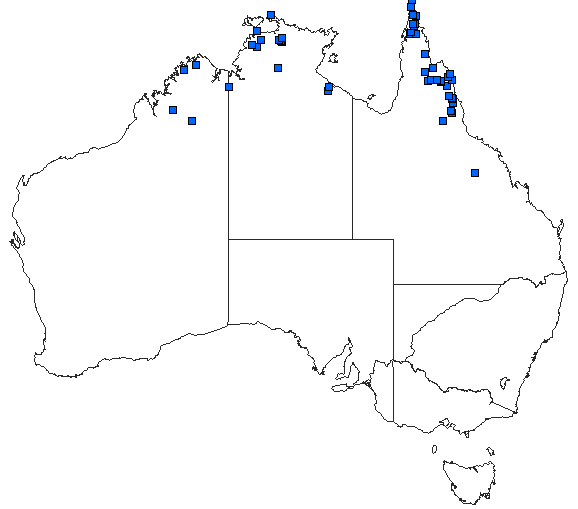 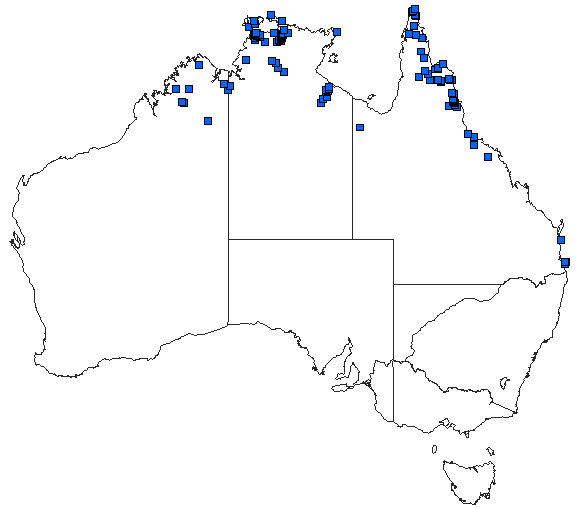 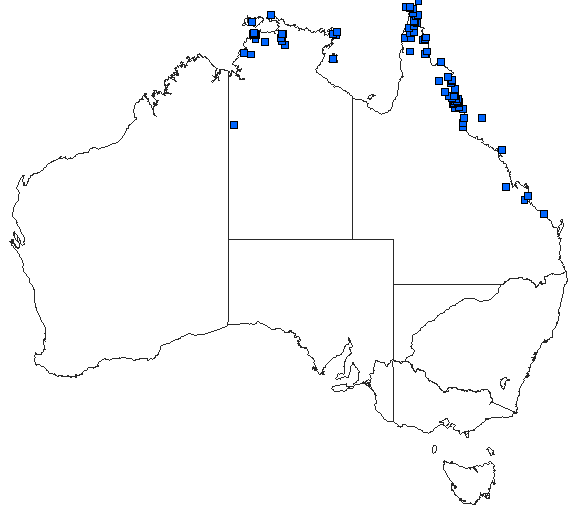 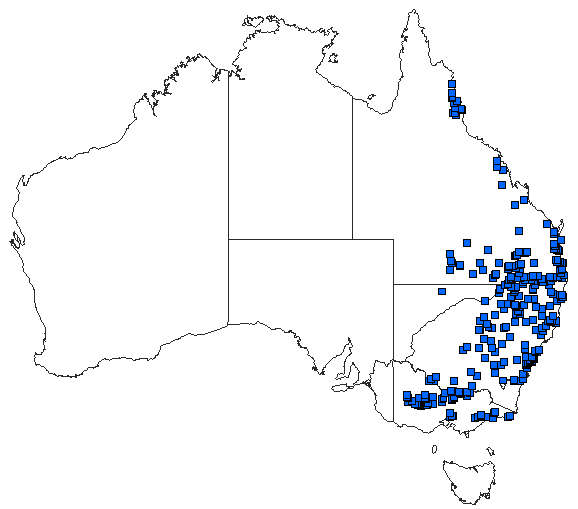 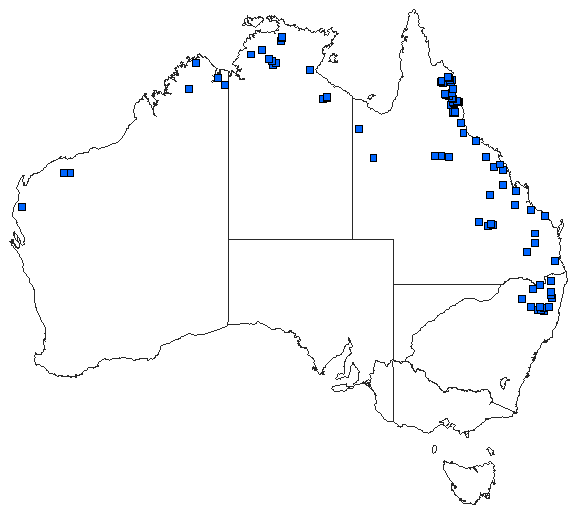 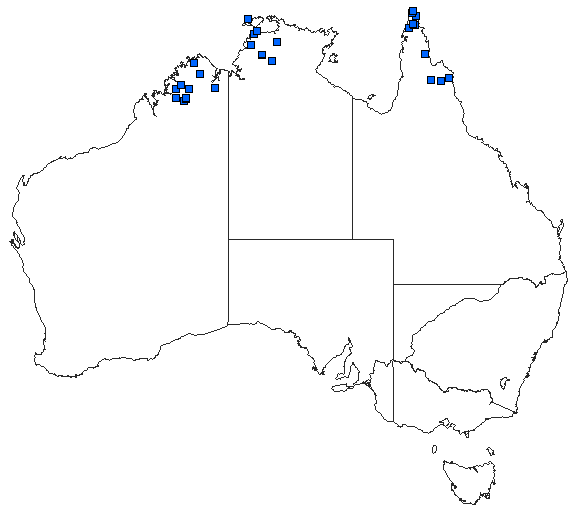 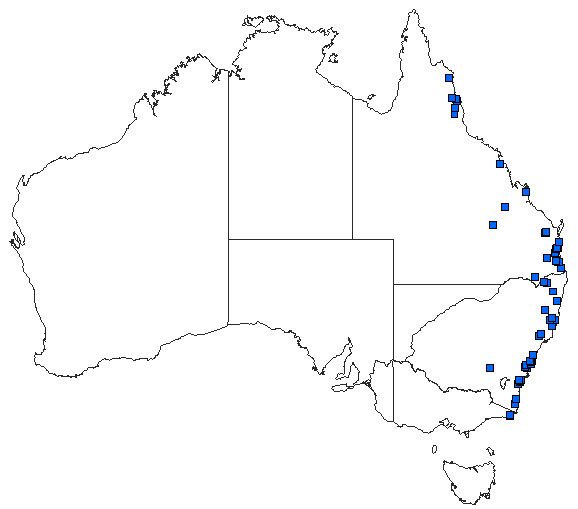 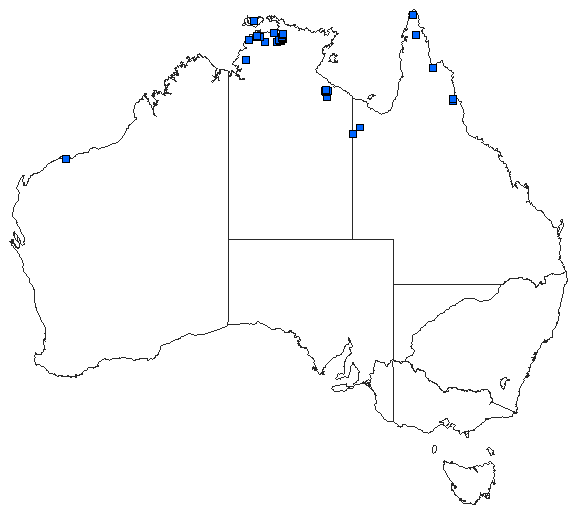 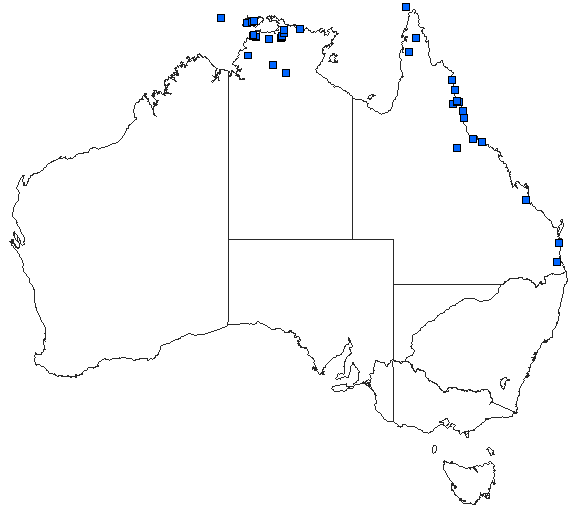 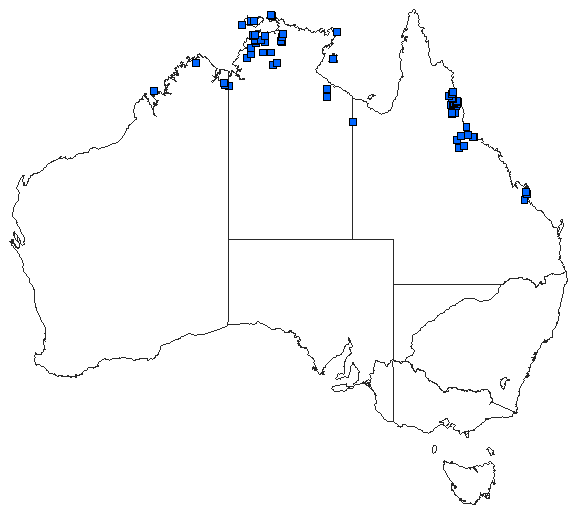 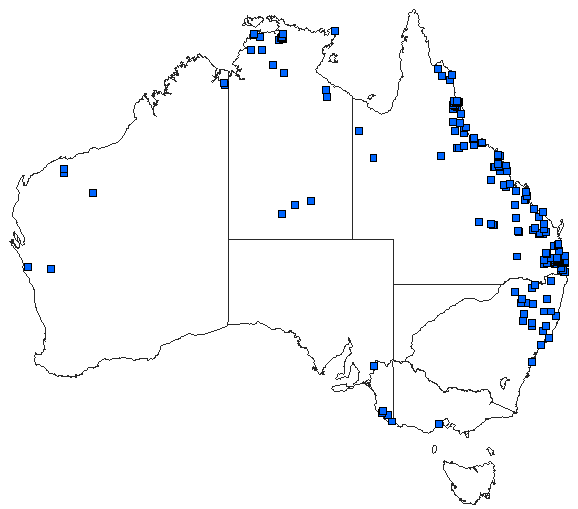 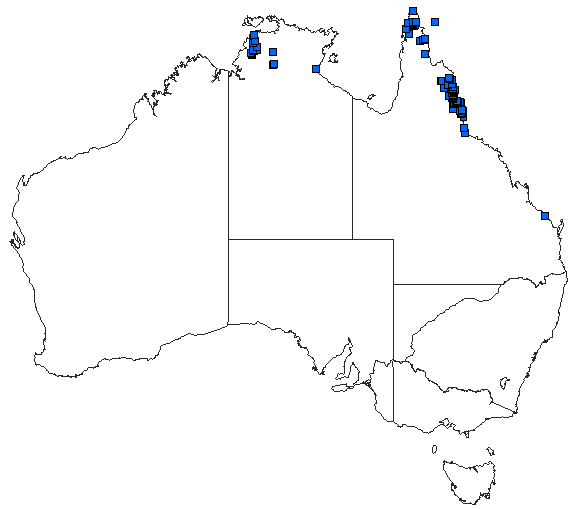 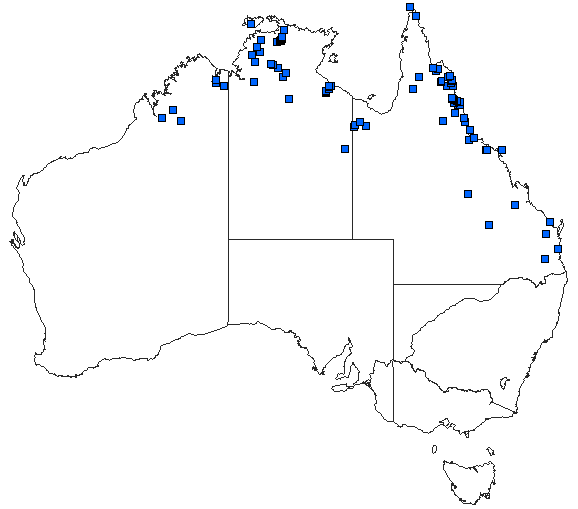 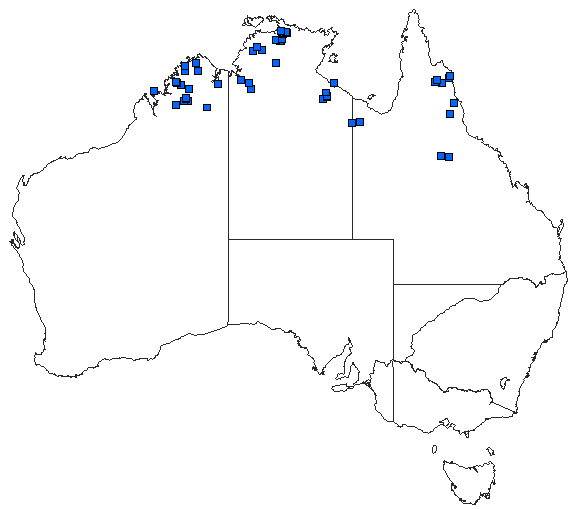 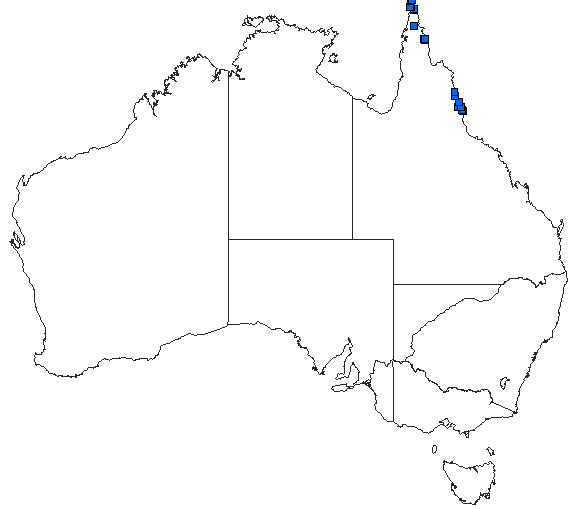 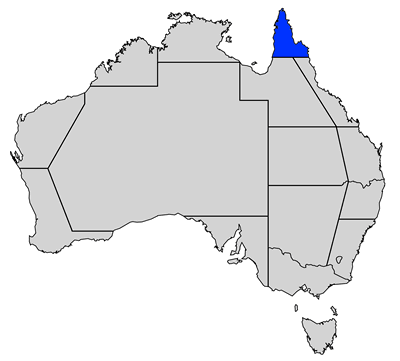 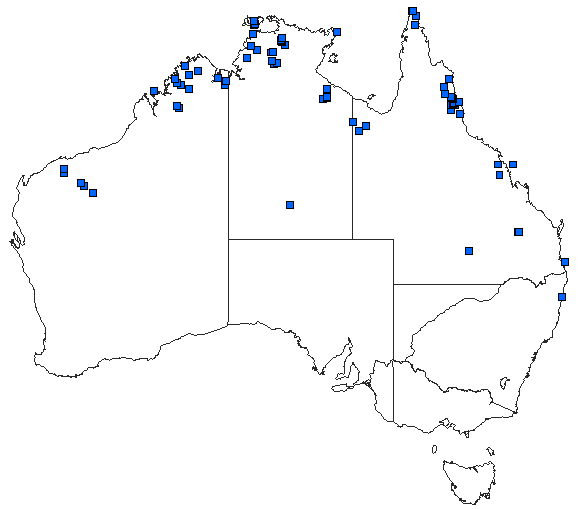 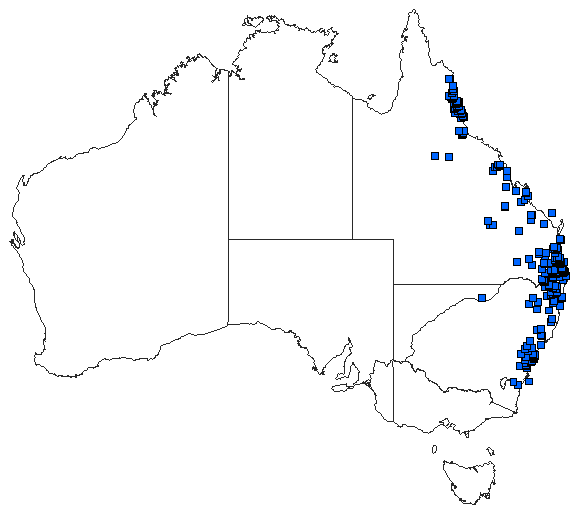 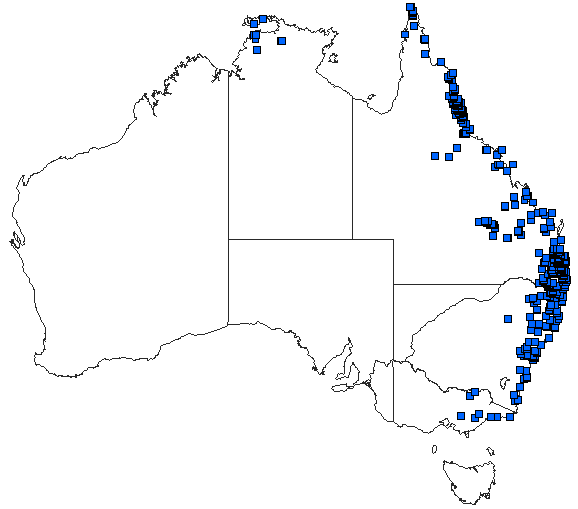 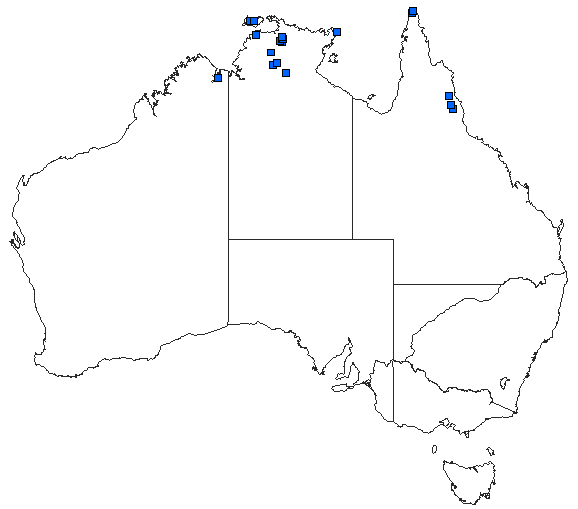 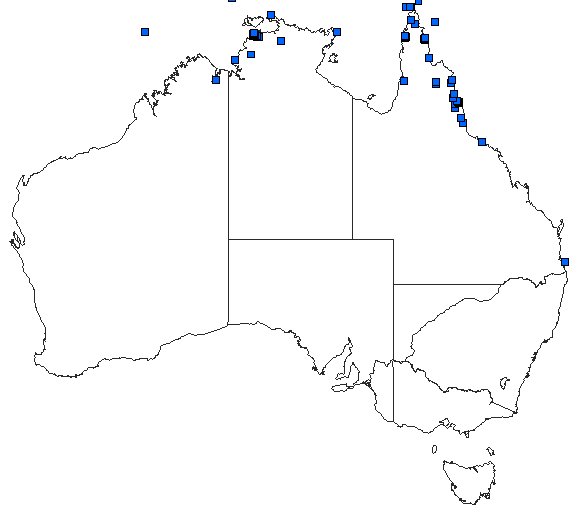 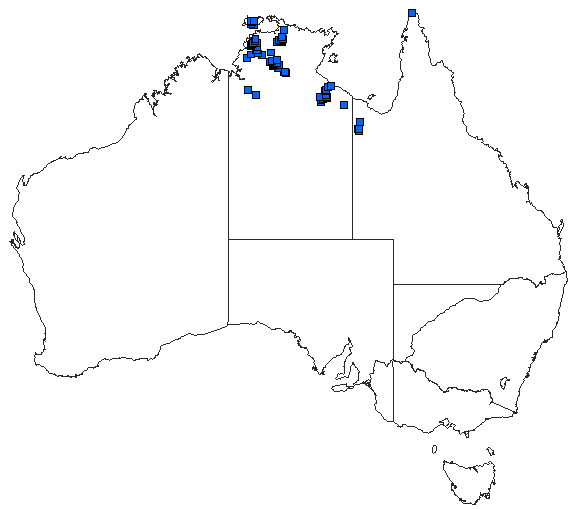 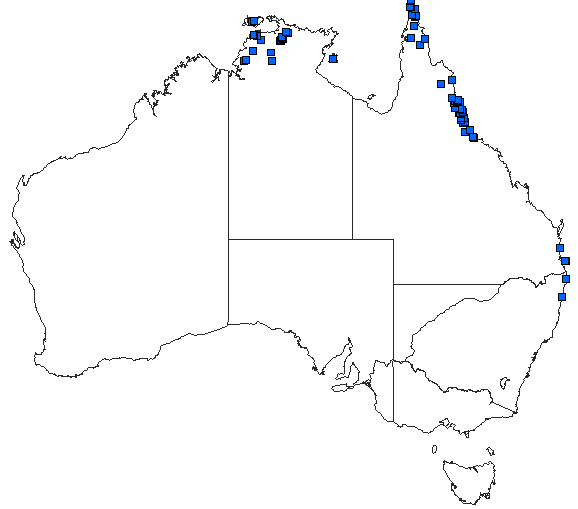 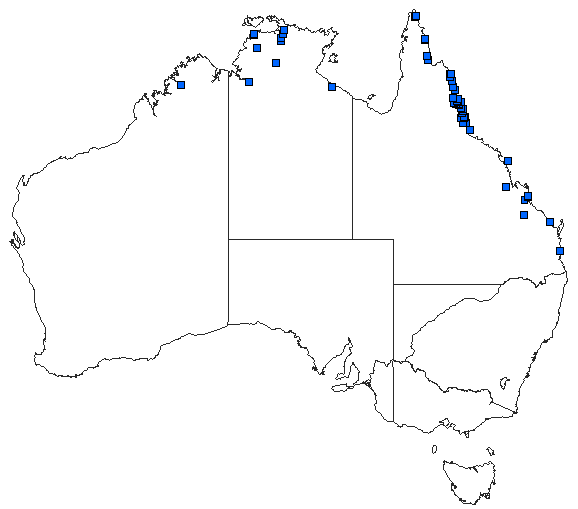 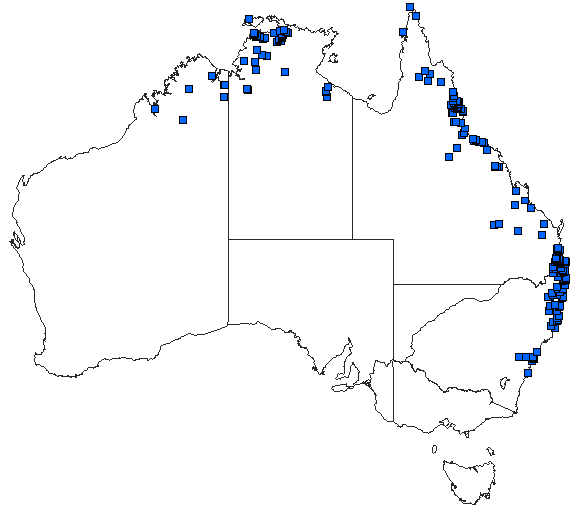 Click on the Distribution button to see the species' Australia-wide distribution. Those species of which we have photographs available are listed in dark red; click on their names to see our photographs. 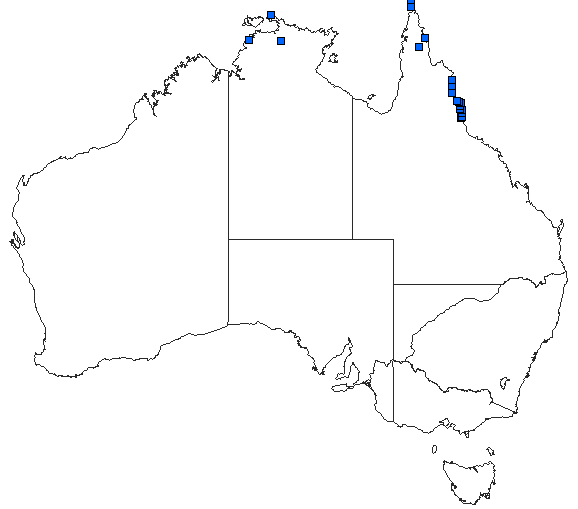 And finally, you can click on the three colourful icons on the right to search the web for more information about the species using Bing, Google or Yahoo as your search engine. Please note that all of these distribution data, including the dot maps themselves, are copyright-protected. 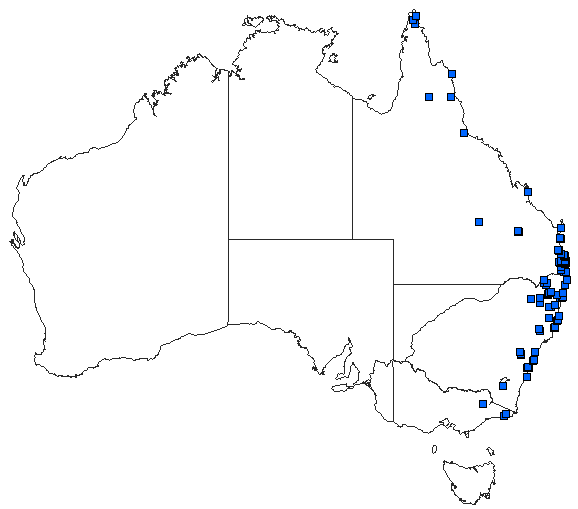 They must not, therefore, be reproduced, republished, redistributed, modified, etc. without the express written permission from the copyright holders. Note also that the acronym DECCW, NSW underneath each dot map stands for the Department of Environment, Climate Change and Water, New South Wales.